Set in the perfect City center a few metres away from NDK (National Palace of Culture) and all the bars/clubs/restaurants on the main street Vitosha this property allows for a calm sleep and everything necessary to make you feel at home. 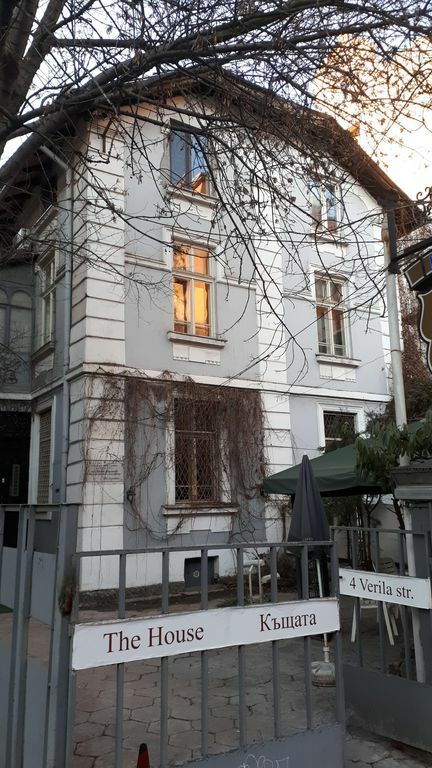 The suite is on a quiet street, has a free parking and using the metro (2 minutes walk to the station) you can reach everywhere in Sofia within minutes. There is a RECEPTION on the ground floor where the guests are welcomed during the day 09:00 - 22:00. There is a PRIVATE PARKING in the backyard managed by the reception so the same working hours. If you plan to go in and out during the reception non-working hours please leave the car outside. The streets are free of charge from 19:30 to 8:30. There is a SELF-CHECK-IN LOCK-BOX in the back entrance of the house where you can get the keys if the reception is closed. I work as an IT consultant and love to travel around the world and make new friends. I am interested in sports, cooking and mountain walking... The general communication is done by TripAdvisor messages. I am also on Viber and WhatsApp. For special cases you can call me on the phone. I am available 09:00 - 23:00h. This is the City center and all the attractions and entertainment you can get are nearby. Everything in the city center is in a walking distance. For longer trips the metro station is a few metres away. This is the city center. Three of us stayed in the apartment and were all pleased. The location was perfect; within walking distance to almost everything. Emil, the host, was very helpful and friendly. The apartment was clean and well maintained, though the lack of a proper stove top could be a problem if you planned to cook meals. You should also bring your own coffee maker; there is a hot plate. Still, I highly recommend this place for it's central location and helpful host. The apartment was warm and cozy. The apartment is located in a quiet street in a characteristic house near the city center, the shopping street Vitosha Boulevard and the NDK metro station. Enough of cafes and restaurants in the immediate vicinity. Clean and spacious apartment with two bedrooms for up to six people. The living room and kitchen are very small for six people. The narrow staircase at the back can be a bit tricky for people with mobility problems or people with large luggage. Friendly owner. Great location in the city center on a calm street close to the pedestrian area and all the bars and restaurants. The flat is huge and tidy and clean. One of the best is the free parking in the backyard which is rare. What more could you ask for? This place combines a cosiness of a family hotel and the proficiency of the biggest hotel brands. Was on a business trip and after that could enjoy the nightly Sofia. The host is really kind. I recommend! Excellent location in the heart of Sofia. Tidy and clean. Good for business trips too with the late check-in, iron and hair dryer available. The transport to the airport is handy with the close metro station. Great place and nice hosts. I booked for a friend of mine. They are English and were on a trip to Bulgaria. They stayed for one more day because they liked the place and would like to take more out of Sofia. This is what they said - "Great place and nice hosts."